So we don’t have a holiday for Valentine’s Day but TGIF ( thank god it’s Friday), so take some out and celebrate love and romance. Make it special by decorating your home for the holiday. 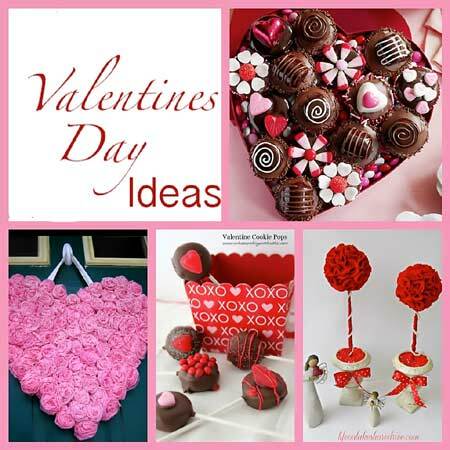 Decorate your home for Valentine’s Day in a minimum budget and beautify your home with beautiful decorations. 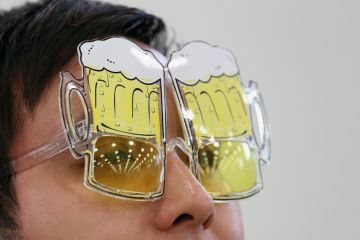 And you can also re- use these items again next year. Store them carefully so that they are not exposed to moisture and you can use them again. Decide who you are decorating for: your Valentine’s Day décor choices will depend on if you are catering to children, a spouse, or simply yourself. If you are in the mood to be a little bold you use miniature lights to highlight a corner place or window or your railings. If you have clear or white lights, this will look nice and you can also use pink, red or purple light with white combination. Use the wire garland on top of your pictures that are hanging on your walls. Decorate the door ways with draped Valentine’s Day garland to make your home look more festive. You can find wire garlands with red or pink hearts. Many stores also have tinsel type garland with cupids or hearts and some are just in Valentine’s Day colours of white and red, pink, or purple. Buy tea lights, in red, pink, or purple colours and scented candles and place them in your bedroom, drawing room or even on your dining table. These little gestures of hearts and warm colours allover your home make for a perfect romantic set up. And who said kids can’t celebrate. 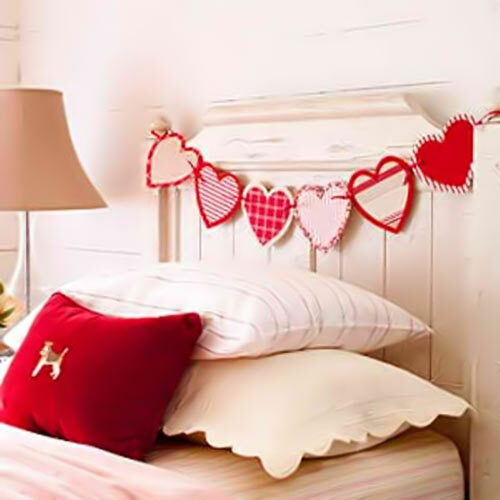 You could cute baby cupid hangings with hearts all over the kids’ bedroom and make them feel special. Valentine’s Day is the day of sweetness and happiness. You could place big glass bowls with heart shaped chocolates, cookies and cupcakes in the hall. Your family, friends would truly love this wonderful feast. Make homemade Valentine’s cards for your loved ones. And if you have kids at home you could make the sweetest cards with decorations like lace, hearts, glitter etc. Get creative! It is also very therapeutic to make such pleasant things to boost your inner child and romance. If you have teddy bears you could place them around your house and its okay if you borrow your kids teddies too.You could also buy those cute heart-shaped balloons you get on the roadside and decorate your house! Try these tips even if it for the first time and celebrate the day ahead with lots of love and joy! Happy Valentine’s Day !!! With the onset of summer not too far away, we are busy getting our ACs serviced, buying the earthen pots for the naturally cool water and changing our curtains to something more heavy to block the heat. How many of us remember the old Khus khus mats or the woven vettiver mats which were hung on the doors and windows where water would be sprinkled on to them to let the cool air in? A wonderful option to keep your house naturally cool, these naturally cool shades not only provides cool air but also a pleasant fragrance even though it could get a bit messy with water trickling on your floor. You can hang these khus mats or curtains to cool your home. All you need to is sprinkle water on these curtains till they are completely wet. Leave the windows or doors that it is hung over, open. Let the hot breeze flow into the wet khus curtain and feel the breeze coming into the house catches the wonderful fragrance of khus and diffuses it in the house leaving the house smelling lovely and feeling cool. Khus which is known as vetiveria zizanioides in the botanical terms and belongs the same family as lemongrass, citronella and palmarosa. It is also commonly used in aroma therapy and perfumes. It is acts like a cooling agent, treating insomnia and stress and also works as a blood purifier. A grass that grows up to six feet in length and like all grass it has fibrous roots that grow deep in the earth. The woody fragrance comes from the tiny rootlets which are filled with the sweet, deep rich fragrant enzymes. The roots of the khus plant are woven into long mats in different sizes and sold in the markets. A very common item sold till a decade ago this now soon- to- become- extinct natural shade is available in the old parts of the cities. It is also used to make hand –fans sandals, hats, and decorative baskets. The roots are packed up in sachets which can be placed in cupboards also used as loofahs to scrub the body.These can also be obtained in your organic produce stores which are now very popular. You could also find these in the smaller towns and if you have the opportunity do pick them up, as they stay for a longtime and do not spoil for many years. 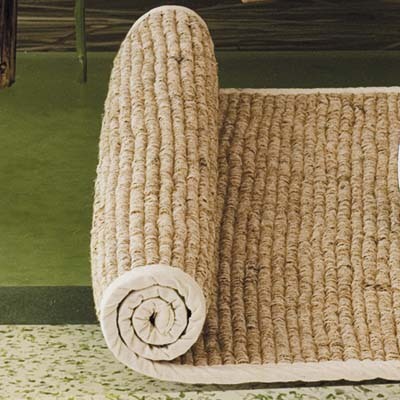 The mats can be rolled and stored in dry cool places in your attic and reused for the coming summers. And think about the electricity bills you can save! For those of you who work from home it is very important to figure out the right space to choose in your home where you can work. But home distractions can become a problem, particularly if you haven’t organized a special place to get your work done. If you feel overwhelmed by the constant distraction of phone calls, family or roommate interruptions, and disorganization, you need to create an environment where you can really get to work. 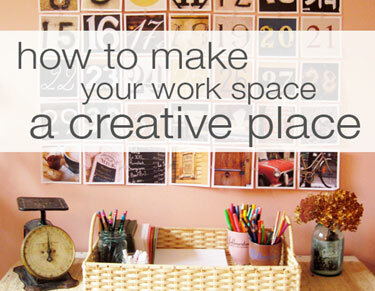 Here are a few tips to redefine your home to make it a wonderful place to work from. 1. Choose a place either in your hall or bedroom where you think its cozy and quiet. Find the place that is the quietest in all the commotion. It may be in the corner of your bedroom or perhaps you have a den or a small room that isn’t being used. 2. Place your study table or desk towards the corner where there is no outside interference. One of the benefits of using an actual desk is that your work-related materials are always going to be near. Most desks have multiple drawers for paper and other items and room to hold a computer without getting in the way of your writing area. 3. Get a good chair. This is one of the most important tools of getting your work done at home. Go to furniture store and invest in a chair that you actually want to sit in. Hard wood or metal chairs are uncomfortable and often deter people from sitting down for the time necessary to get their work done. 4. Organize your stationary . Make sure that all the stationary you need each day are easily reachable from your desk. It’s easy to become distracted from your work if you constantly have to leave your studies to go look for supplies in another area of the house. Put books, pens, pencils, erasers, and everything else you need in the drawers of your desk. 5. Personalize your Study Spot and make it your own. If you like to work with background music, bring in you c.d. player and a bunch of your favorite cds. If you like to munch while you work, put a box of your favorite snacks by your workspace. If you’re an art fan, put your favorite paintings on the wall. 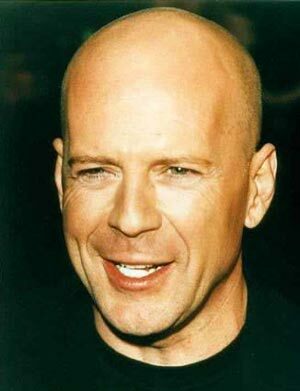 Some people like to hang up inspirational posters or magazine clippings of people who they adore. You could plant or flowers next to you for more colour. Add anything that will help make your work space feel like home and also keep you focused on your work. There are no rules when it comes to decorating your home with mirrors. Mirrors bring light and depth into rooms — they are like decorative windows which you can move around and place as you like. Mirrors have several benefits and can reflect and emphasize views and colors on walls creating special effects. A bold and gorgeous mirror can be the focal point of a room. Use an extra-large mirror in front of your main door to serve as a last-minute check point when you head out . The mirror itself becomes the artwork in this minimal set up. Even a large wall mirror can bring simplicity to a space if used correctly. Add mirrors to any space you want to visually expand. The location and placement of the mirror are key when utilizing them — you want to ensure that it will not create undesirable reflections and will allow it to maximize its innate qualities. Mirrors, in a large dining room can brighten the room, create additional luminosity and add dimension to the space. Full-size floor mirrors can make a dramatic statement in a small space.Using a framed, full-size mirror placed on the floor and resting on the wall can become an incredible asset in many ways in a bedroom, living room and even at the end of a hallway. Try something new — hang multiple mirrors on the same wall get adventurous depending on the interior décor of your house. If you use them together on a wall, you can group them in a visually-pleasing way, similar to art pieces.The scale of the mirrors should be proportional to each other and to the wall space — avoid using small mirrors on a large wall. Mirrors can add an extra decorative touch to a room. 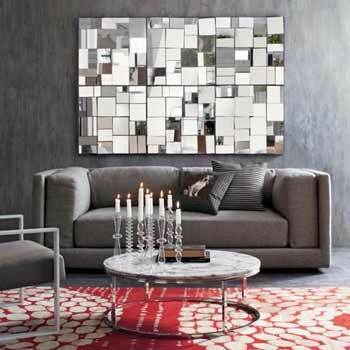 Mirrors are like art and should coincide with other pieces in your home. They are an integral part of the design style. mirrors can aesthetically enhance an interior with the use of stylish frames, when they are well placed and form focal point. Mirrors can be displayed in every room of the house, but a favorite spot for designers is the entryway. Entries, rooms that lack natural light and dining areas can be a great place because they create an opportunity for creative lighting, candles, ambience, art and reflectivity. You can decide which is the perfect spot of you rhouse to enhance that place with the right mirror. An energetic vibe is given to an ultra-modern bedroom when you place it in your bedroom. A large stand-up mirror works with the curtains to deliver the illusion of double square-footage in a tiny space. Another option would be a floor-to-ceiling mirror can be a useful accent to a bedroom wall, especially when it comes to dressing.Just see to that it is not placed opposite to your bed that’s all! Dining rooms are an ideal place for mirrors, especially when there's a full house. It adds more visual dimension and when you use mirrors in a dining room with candle lights which will reflect and create a warm, romantic glow for an ideal family get together. Try these tips to enhance your homes to and improve the visual atmosphere. 10 more days to Valentine and you are stuck for ideas for where to take your sweetheart /spouse this Valentine's Day? You are done with giving roses, teddies, cards, gifts, candle light dinners ,diamonds etc. etc …and now you are lost in thoughts at work as to what to do with event coming around the corner . And not to forget the children to take care. So then why not stay at home? Spending Valentine's Day in your own little love nest can make sense both financially and romantically. With a little planning, you can personalise your day and add to the intimacy, away from the overcrowded and overpriced restaurants and hotels and not to forget the kids. •	Spa Experience : Either of you could make breakfast early and start the day together. Since it’s a Friday, you could get back home early and surprise him/her with a Spa Experience. Lead them upstairs to a bathroom softly lit by candlelight and a bathtub infused with soothing oils or salts. Place a glass of wine and chocolates on the side of the tub so your loved one can indulge in these delights while you prepare the bedroom. Afterwards, share your favourite foods ( you could make or order )and settle down to watch a romantic film. •	Home picnic : A picnic at home can be fun and romantic. Throw down some cushions and stir up some seduction by scattering rose petals. Dim the lights and if your culinary skills aren’t enough to fill your home with gorgeous smells, light a scented candle, which will also add to the ambiance. Don’t stress about the menu or spend hours in the kitchen, after all, your loved one wants to see you. Instead, choose dishes that are simple to prepare and great for sharing. Finally press play on some romantic tunes, but keep them subtle and not too cheesy. Dont forget to send the kids out to your friends or moms place. For those creative persons who have time on hand , come out with your own creative ideas to make the day special. have simple meal which both of you like and end the day early. Pineapple – A Fruit with Benefits!! This spiny fruit is a tropical fruit of American origin. 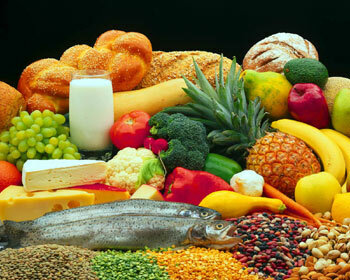 It has the enzyme called Bromelain which of late has been discovered to kill the cancer without killing us inside out! This manganese rich fruit aids in the building strong bones and connective tissues. Manganese besides strengthening the tissue it also has anti-inflammatory properties, providing mild relief to the joint pains. The regular intake of pineapple prevents mucus accumulation in the throat and lungs, thus clearing the airways and also aids in managing the symptoms of asthma. It also keeps edema under check due to its Vitamin C content. This spiny fruit is a rich source of anti-coagulant, so it prevents blood clots. A cup freshly chopped pineapple is advised for people suffering with bleeding disorders. With the advancement in science we have been able to recognize the ability of Bromelain-an enzyme of pineapple to cure many types of cancer such as; breast cancer, brain cancer called Glioma, colon cancer, skin cancer and lung cancer. 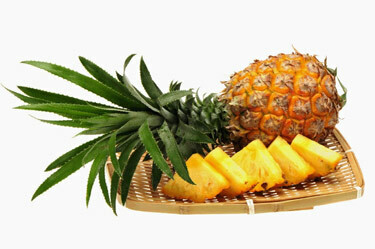 Pineapple is also effective in preventing inflammation and infections of the digestive tract. It prevents colitis – inflammation of colon, irritable bowel syndrome and constipation. Pineapple has the acidic components which discourage the plague and bacterial growth in mouth and maintain oral hygiene. Pineapple is great source of relief for expecting mothers too. They are capable of preventing the morning sickness which is a common problem faced by carrying-mothers. It also helps in production of good quantity and quality of breast milk. 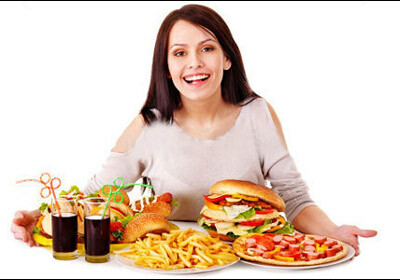 Now that, we know its uses, we should opt for way of intake such that we get maximum benefits. Experts say that taking pineapple on an empty-stomach is best to absorb all its goodness. If taken along with other foods it aids in digestion alone! Well, hitting gyms once in a while is pretty easy but maintaining the continuity is indeed a challenge. Exercising or workouts at gyms is just not only for well chiseled body or for weight loss alone. But exercising important for the body and mind functioning. And many of the physical sweat-outs improve the multiple organ co-ordination. The physical exercise also boosts up the functioning of the master organ – Brain. It is rightly said the more you use the more is the brainpower developed! Exercise is known to improve your performance in all fields. Exercise makes you feel alive and agile and so you can concentrate and excel in your field of work! Exercising is best way to keep your heart at its pink! 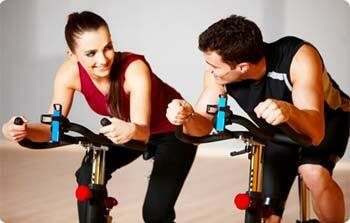 Beside cardio workouts any kind of physical workout can pump up the heart rate. And it also brings down the incidence of the cholesterol the major enemy of your heart! A regular workout keeps you energy levels high all day long. The more you exercise the more you feel energized! Exercising not only keeps you limbs and their muscle fit but also the internal organs thus strengthening the immune systems, the armed forces of the body and capable of warding off the diseases! If you regularly exercise, you body gets customized to a certain routine and it does all its duties on time like regular bowel movement, a constant amount and timing of digestive juices and regular sleep cycles. In short your existence becomes systematic. Wanna hook up? Then include physical workout in your daily regimes. It said that exercise builds up relationships, just because exercising makes feel good and can thus you can propel in your relations. The physical movement of the body also has an affect on mental status. Thus it melts away depression and stress! Working out enables you to eat more, a point to be noted is that if you gulp in junk foods you tend to become lethargic, so try eating healthy foods like fruits. Now that you have many reasons to exercise, let’s hope that you all include physical activities to your routines! 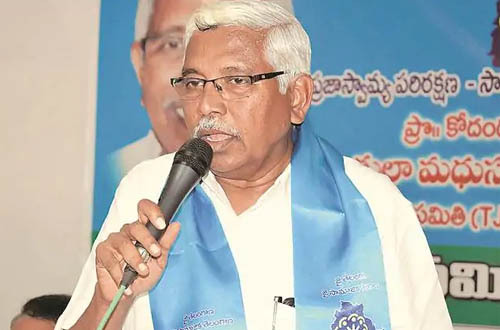 సన్నబడాలంటే డైటింగ్ చెయ్యాలి, కాని రకరకాల రుచి గల ఆహారం కనిపిస్తే నోరుకట్టుకోవడం కొంచం కష్టమే అదిగో అలాంటి వల్ల కష్టాలని తగ్గించడానికి 'బీర్ గాగుల్స్ 'ని తయారుచేసింది. 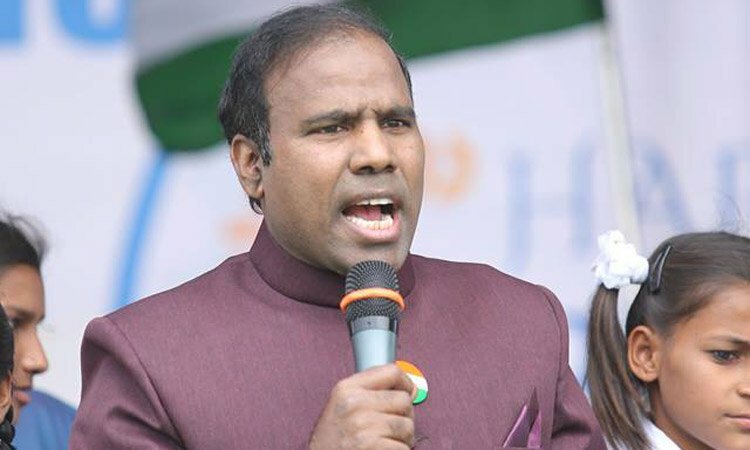 విషయం ఏంటంటే రంగులు ఉత్సాహాన్ని, ఉల్లాసాన్ని,మానసికోద్వేగాల్ని ప్రేరేపిస్తాయని అందరికీ తెల్సిందే అయితే నీలిరంగు అస్సలు ఆకలిని కలిగించదట! అందుకని నీలిరంగులలో ఈ బీర్ గాగుల్స్ ని తయారుచేశారు. ఇవి పెట్టుకుని ఏదయినా తినటం మొదలుపెడితే కాస్త తినేసరికి ఆకలి చచ్చిపోతుందట! ఎందుకంటే ఈ గాగుల్స్ తయారుచేసినవారి సమాధానం ఏంటో తెలుసా ? మనం తినే ఆహారాన్ని ఆకలి తీర్చుకోవటం కంటే దాన్ని ఆకర్షణతో ఎక్కువ తింటా౦మట - రంగు,వాసన,రుచి అన్ని మన ఆకలిని ప్రభావితం చేస్తాయి కాబట్టి ఆహారం నీలిరంగులో కనిపిస్తుంటే ఆకలి కూడా మందగిస్తుందట...దాంతో తక్కువ తింటారు అంటున్నారు వీళ్ళు. బావుంది మనసుని కట్టడి చేయాలి కాని కళ్ళనెందుకు ? 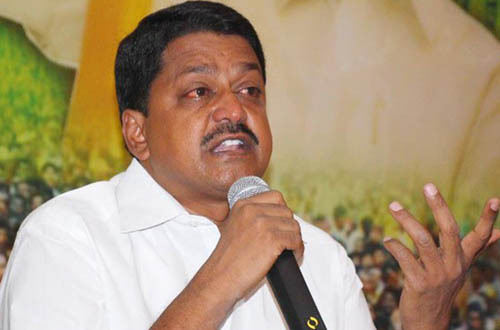 అంటారా ? డైటింగ్ చేయాలనే సంకల్పం ఎంత వీక్ గా ఉంటె అన్ని ప్రయత్నాలు చెయ్యాలి మరి..
నెత్తిమీద వెంట్రుకలకీ నడకలోని ఆత్మవిశ్వాసానికి లింకేంటి అనేది తెలియాలంటే బట్టతల బాధితులను మాత్రమే అడగాలి. అయితే ఇప్పుడు వారికీ సంతోషం కలిగించే వార్తను దక్షిణ కాలిఫోర్నియా విశ్వవిద్యాలయానికి చెందిన పరిశోధకులు మోసుకొచ్చారు. అదేమిటంటే కారణమయ్యే జన్యువుల ఆచూకిని తాము కనిపెట్టామని,దానిలోని మార్పులను కూడా గుర్తించామని వీరు చెబుతున్నారు. 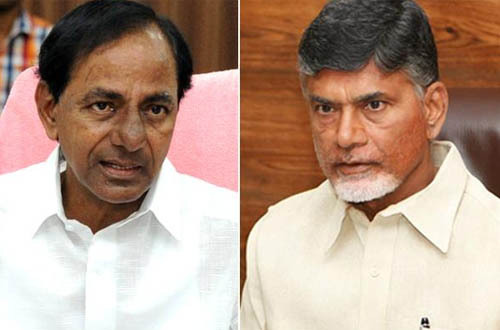 డబ్ల్యూఎన్టీ 7 బి అనే జన్యువు వెంట్రుకలు పెరిగేందుకు ప్రధానంగా దోహదపడుతుందటున్న ఈ పరిశోధకులు... ఏఎ జన్యువులలోని మార్పుల్ని కనుక అడ్డుకుంటే వెంట్రుకలకి పునర్జన్మ ఇవ్వోచ్చంటున్నారు. పోన్లెండి ఈ పరిశోధకుల పుణ్యమాని నెత్తి మీది మైదానాలు మాయమై ఆత్మవిశ్వాసం సొంతమైతే అంతకన్నా కావల్సిందేముంది ? 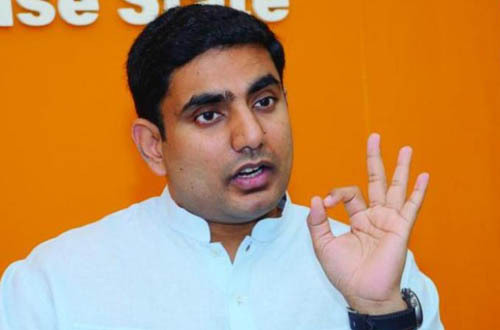 చాక్లెట్స్ అంటే పిల్లల నుంచి పెద్దల దాకా అందరికీ ఇష్టమే. 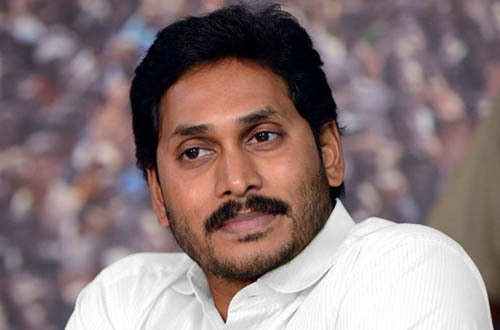 తీయ్యటి చాక్లెట్స్ తినటానికి ఓ కారణం దొరకాలే కాని తినకుండా ఉండగలమా ? 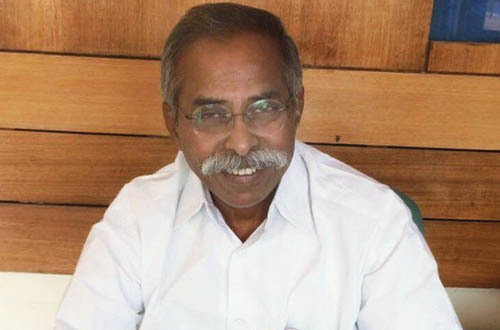 ఏ పుట్టినరోజుకో, పండగకో, కాదు ఇప్పడిక రోజు చాక్లెట్స్ తినడానికి ఓ తియ్యటి కారణం దొరికింది. 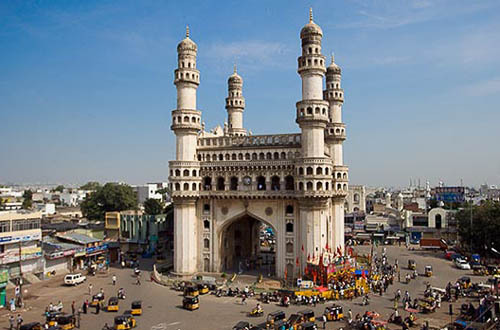 అదే మొటిమ అవునండీ! అందమైన ముఖానికి ఓ చిన్ని మొటిమైన పెద్ద మచ్చ కిందే లెక్క అందులోనూ టీనేజ్ అమ్మాయికి మొటిమలతో పెద్ద పేచినే. ఇలా మొటిమలతో వేగలేని వారికీ ఓ తియ్యటి మందు కనిపెట్టిందో అమెరికా కంపెనీ విటమిన్లు, మినరల్స్తో నింపే ఓ చాక్లెట్ను తయారుచేశారు. 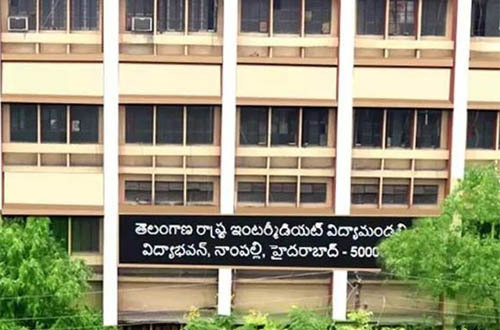 వాటిని రోజుకు 2 నుంచి 5 దాకా తింటే చలట. రెండు మూడు వారాల్లోనే మొటిమలు తగ్గిపోవటం గ్యారెంటి అంటున్నారు. 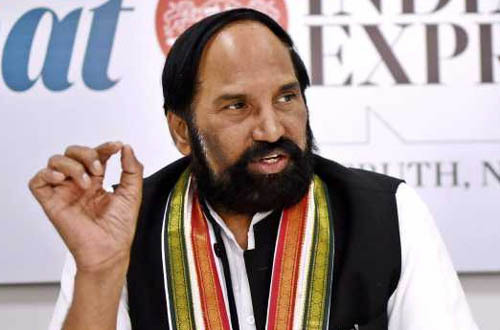 ఈ చాక్లెట్ లో వాడే విటమిన్లు, మినరల్స్ వల్ల మానసిక ఒత్తిడి, ఆందోళనా తగ్గుతాయట. 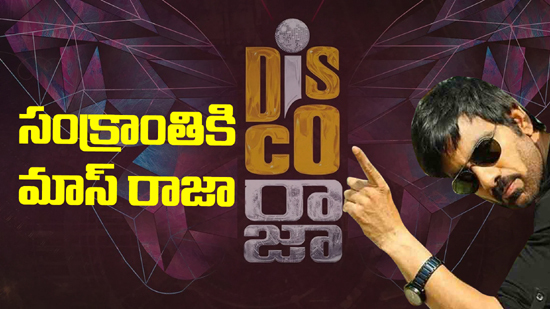 అలాగే చర్మం లోపలకి చేరే జిడ్డుని కూడా తొలగిస్తాయట. 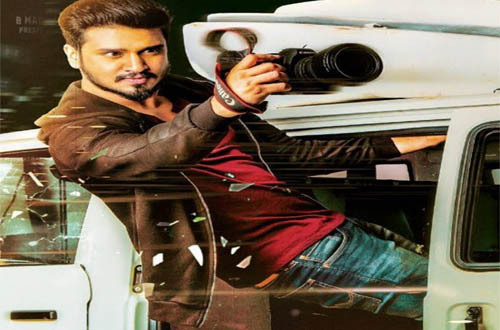 దాంతో క్రమంగా మొటిమలు కూడా తగ్గుతాయట కాబట్టి మొటిమల కోసం క్రీములు, పైపూతలు వేసుకునే కష్టం లేదిక అందుకోసం గంటలు, గంటలు సమయం వృదా చేయక్కర్లేదు. హాయిగా ఓ తియ్యటి చాక్లెట్ నోట్లో వేసుకోవటమే. 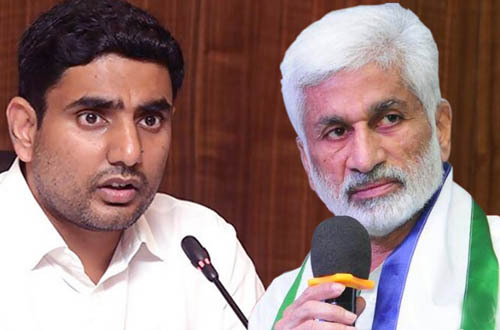 ఇంతకి ఆ చాక్లెట్ పేరు చెప్పలేదు కదు ' ఫ్రూటెల్స్' పేరుతో దొరికే ఈ చాక్లెట్ కీ ఇప్పుడు విదేశాలలో బోల్డంత డిమాండ్. కాదా మరి టీనేజ్ అమ్మాయిల్నే కాదు అబ్బాయిల్ని దడదడల లాడించే మొటిమలా మజాకానా! Legible or illegible writing in itself tells us little or nothing about the mentality of the writer. 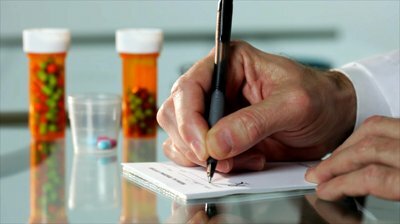 A great many professional men and women, top executives, statesmen, authors, musician and most certainly doctors cians and most certainly doctors (as their prescriptions often show) writer illegibly. 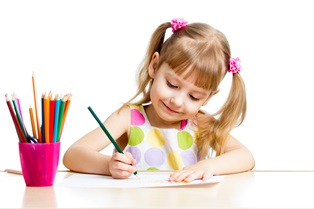 Young children attempt to write legibly because their attention is concentrated on forming letters. The desire of the detail-worker (One who gives attention to details) is to be sloppy with detail is to turn out a slipshod piece of work. These people have patience and they are found in the ranks of clerical workers, bookkeepers and often kindergarten teachers. It is not usually in the nature of the detail worker to write an individualized script i.e. to say, different from what they were taught. The mechanical accuracy seen in the handwriting of such people shows an ability to follow a prescribed pattern of thought and action themselves in following the copy book script. These people are rarely leaders, their very desire to following a pattern of writing of writing laid down by someone else is the same desire that makes them followers. But legible writing doesn’t belong only to detail workers. Other people may be capable of doing detail work of a different sort. A clear thinking scientist, with a direct approach to his research, may write legibly. Handwriting is, after all, a means of communicating with your fellowmen. If you are cooperative and want to be understood you will make the effort to write in such a manner so as to make it easier for them to do so. Writing illegibly is a way of saying: “This is the way I am, try to understand me if you can, if you cannot, too bad.” Illegible writing belongs, first of all, to the uneducated (Illiterate) person. With training, the formations may become more readable, but education does not necessarily result in legible writing. One might be able to express his thoughts with clarity in conversation yet not write legibly. On the other hand, one might be awkward, even inarticulate in conversation yet his handwriting might be quite legible. A nervous person may write illegibly. One should take care that the nervous person’s handwriting is not confused with that of the shrewd or dishonest person. Terrible foods which you should avoid! With the fast food joints being started everywhere; the French fries now become endearing children's taste-buds than ever. These not only have the unhealthy trans fats and calories, but can also be gobbled too much at once. Fries can dominate the palate such that the child may not feel the taste for other vegetables. Most of the sugary cereals are very much low on fiber and high in terms of sugar content. You need to choose cereals which has less than 10 grams of sugar. Processed red meat like hot dogs or bologna, can increase risk of diabetes, heart diseases and even colon cancer. Hot dogs which come loaded with sodium, fat and nitrates is known to cause cancer. The best way is to order fresh meat. The health risks that soda drink poses is a hard fact and especially for kids. Drinking cola increases the risk of type-2 diabetes and obesity. Encourage your children to drink milk and water. Noodles, apart from being low on nutrition, contain lot of sodium. One serving of packed noodles or pasta contains times more sodium than a child's recommended limit. 5 best reasons why you should workout! Hitting the gym for exercise can offer many benefits for your life style! Boost to confidence: As per a recent psychological study, for individuals who follow some form of an exercise routine, were seen to be more confident than those who donot workout at all. 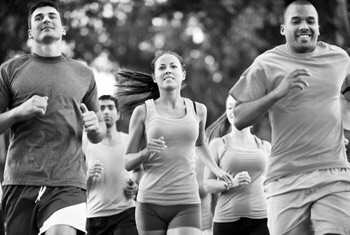 The participants reported that after exercise, they gain more confidence than before. Enhanced health: Exercising not helps you get in good shape and make you look great, it also helps in creating wonders for your health. It will keep your blood pressure in check, reduces the occurrence of cancer and prevents the early occurrence of diabetes. Improvement in mood: Another study also suggested that people with anxiety disorders have felt very much after exercising since it can reduce depression and stress. Increased productivity: A fitness routine will also enhance your productivity at work place since it enables you to concentrate better and as well manage to get more work done in a short time! The ‘ripple’ effect: A physically fit and able person can give more time and efforts for his/her personal relationships. Since this will boot your patience levels, you can also solve issues and problems concerning family and friends efficiently. Overall exercise leads to a healthy and stress-free life! Tips to be followed while moving your house! For those hold transferrable jobs, moving house will almost become something like a way of life. It carries too much stress and strain and see that you can be prepared and just relax. Kids should be prepared well! Make sure that your kids understand why you are moving. Encourage them pro-actively so that they can plan for the movement. Take them for your new house so that they can have a look around. Making this as much as interesting as possible will definitely help! If you are availing the services of movers, then ensure you book their services several days before you are going to move. Call them first early in the morning of the movement to make sure they are on time! Disconnect the phone and power connections! Make sure that you have made arrangements in place o see that the phone is disconnected the day you move. Also, ensure that you switch off the main power to avoid unnecessary billing! If you have plans to first clean the house after the furniture is packed, then make sure that you keep all your cleaning gear aside with you! Alert the designated post office to see that they re-direct all mail correspondence! Make sure you bring sufficient number of cartons, that too of various sizes! Raise your child’s grades, levels of confidence and self-esteem, discover their hidden talents; improve positive skills, power of concentration and memory. Understand better and help shy/emotionally disturbed/ difficult children and do much more … through Handwriting. Sounds hard to believe but it is true. But you can do all these and more. How much do you really know about your children? Do you at times wonder why are they so difficult to deal with? Do you ever wish you could know their deeper feelings and desires, their moods and silences, which can often be disturbing to you, to say the least? To understand their attitudes, character and psychological make-up and to help them improve in all aspects is easier than you think, through Graphology (the study of handwriting and handwriting analysis). A single page of a child’s handwriting can tell the Graphologist volumes about the child’s personality, character, fears, frustrations, etc, even without a personal encounter. Graphology is a science, which deals with handwriting analysis. Handwriting is the psychological imprint of a person on paper. It is as unique as a fingerprint. No two handwriting samples are alike. Applied Graphology is a science wherein handwriting reveals character; where handwriting rewrites character. Handwriting Analysis combined with traditional training in handwriting can make subtle yet powerful shifts in the child’s mind, resulting in better attitude, better behavior and performance both at home and at school. Research conducted at the University of California Los Angeles (UCLA) in 1991, on the actual movements of the hand and it’s relationship to the stimulation of the brain, has successfully established a link between hand and brain. It has been ascertained that by changing handwriting one could change one’s attitude and personality. Most of the beliefs, values and habit patterns that are the basis of long-term success or failure, seem to take a concrete shape between 7-14 years of growing children. In this process, parents will be able to monitor and guide their children better, and give the right direction to the amazing potential all children possess. Your child will no longer be an unfathomable mystery to you! You will know and understand how he or she thinks and reacts, and you will know best how to deal with them. Basic tips on how to improve your handwriting: (A few practical points that can make a lot of difference). 1.You must have good lighting. 2.You must be sitting comfortably. 3.The surface that you put your paper on is important too. 4.Your arm needs to be able to move freely if it is to work at its best. 5.You need to be relaxed. 6.Lines. Well spaced, even lines of writing create an immediate impression of clarity and legibility. 7.The way you hold your pen will affect the letters that you write, there is no correct method of holding pen so hold the pen in the way you’re most comfortable. • If you want to be expressive, make sure that your right margins align all down the page. • To develop your confidence cross your t-bars above the stem. • Letters should be equally spaced in the words and lines to improve social life. 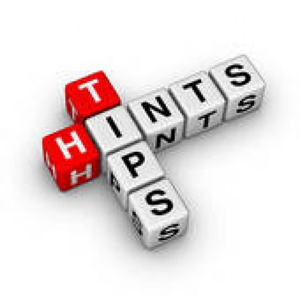 • Always write upright or sloping (slanting) towards right to improve memory. • Apply medium pressure to improve your concentration power, avoid light and heavy pressure in your handwriting. • If you want to develop leadership qualities let the first letter in your signature dominate others. Write everyday a full page of handwriting. You cannot go wrong if you “write” right! Some quick tips for a clean kitchen! You can start off by cleaning your kitchen counters any time. If you don’t use juicer often, then the ideal thing to do is to stash it away from the kitchen counter instead of letting it accumulate dust. Ensure that you keep aside or remove everything which you feel that you may not be using in the next couple of days. Then, you can start spraying with liquid cleaner and wipe the counter spik and span. You can start with Cleaning your gas stove and oven. Make sure that the grime and the spills are wiped really clean. Next, start cleaning your refrigerator. Check what all the leftovers are and then discard them. Find out empty bottles and ones that are too old. Dismantle the shelves and clean them up. Clean the exteriors as well as the inner portions of fridge with a very soft cloth. Make sure you keep your sink free of any clutter. Wash and clear stack away the dishes and utensils. Remove any unsightly and stubborn stains. Then rub it dry. Clean the kitchen floor finally. Pick all the debris from the floor, the counter top and on the toaster. Clean small mouthed bottles with water first, shake it well and remove. Then put some sand in the bottle, this will absorb the excess oil then wash the bottle in the usual manner with water and soap. How to make your mornings more productive! Well the ideal and the best way for a productive day ahead is to simply start your morning in a really bright and positive way. This will help you start your mornings in a very calmer way such that you need not jump out of the bed and rush through the morning. This also gives you some time to prepare mentally and physically for your entire day. If you intend to start your day with a solid plan, then ensure that you write the plan in the night before. Also see that you review this calendar for any meetings and appointments which requires more time for preparation. This can be done on paper or an electronic format and keep it handy so that it will be easy for you to have a look. Making use of productive work practices can help you in focusing on the tasks and go through this day with a lot of ease. Take some time off the morning for doing exercises and it can be morning walk/jogging if you like and even indulging in physical activities which can give you much happiness. Breakfast, is undoubtedly most important meal of the day. So, make sure that you enjoy your breakfast. Don't simply hurry through your breakfast on the way to office. Opt for a healthy and nutritious breakfast for starting your day on an energetic mood.